This delightfully vibrant vegetarian starter from Fabrizio Marino, showcases vegan cuisine at its best – as you'd expect from the head chef of Italy's only Michelin-starred vegetarian restaurant! 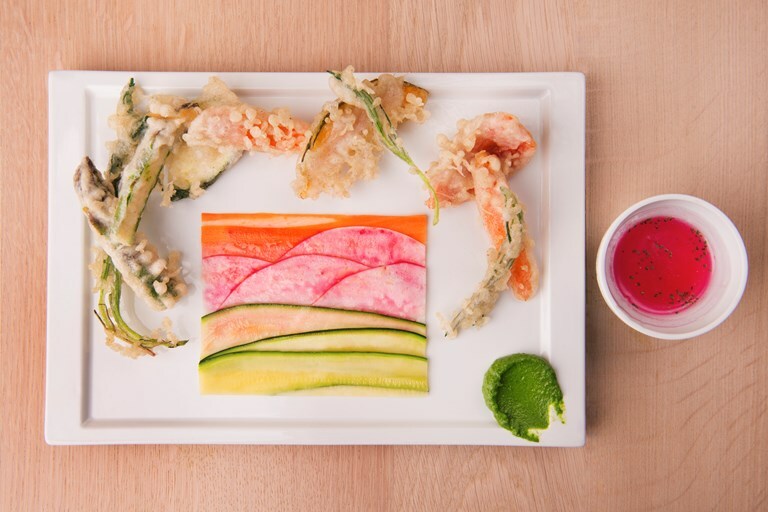 The vegetables used for the tempura can be changed according to seasonality making this lively starter, with the crunch of tempura batter, tang of citrus and powerful wasabi pesto kick, perfect to serve any time of year. Fabrizio Marino is the poster boy for a new wave of Italian chefs.